Renuance Cosmetic Surgery Center is proud to celebrate the special women who make our center exceptional. Dr. Rachel Ford is an accomplished plastic surgeon with expertise in breast surgery, body contouring, and facial aesthetic surgery. She has completed years of education and specialty training. She attended the University of North Carolina at Wilmington, where she graduated summa com laude. She continued her educational pursuits by earning a master’s degree from George Washington University and then proceeded to graduate first in her medical school class at the University of Louisville. Following medical school, she completed a 6 year plastic surgery residency at Loma Linda University where she was honored with multiple academic awards. In fact, throughout her career she has earned many prestigious awards and memberships including Alpha Omega Alpha Honor Medical Society, Gold Humanism Honor Society, AMA/KMA Alliance Award, and the Kimsey-Taylor Award for Excellence in Microbiology and Immunology. Dr. Ford performs all of her plastic surgery consultations and operations at Renuance Cosmetic Surgery Center which is an AAAASF certified surgery center located in Murrieta. Dr. Ford is assisted by Renuance Cosmetic Surgery Center’s experienced operating room team led by Michelle Prude, RN and Ivy Jones, Surgical Technician. Together, Michelle and Ivy lead an impressive group of registered nurses and surgical technicians specially trained to assist our plastic surgeons. Ivy Jones has 28 years’ experience as a surgical technician. For over a decade she supported surgeons in the United States Army at Walter Reed Army Medical Center. She is extensively trained in most surgical sub-specialties and has over 13 years’ experience in plastic surgery. Michelle Prude, RN has over 15 years of experience in nursing with a concentration in the surgical field. She has managed a very busy multi-specialty surgery center and has been recognized for her strong skills in patient assessment and care. Both Michelle and Ivy are true patient advocates dedicated to patient safety and making sure every patient has the most pleasant surgical experience possible. In addition to our surgical team, Renuance Cosmetic Surgery Center is also very proud of our close family of Aesthetic Nurse Specialists. They are all registered nurses with specialized training in the use of nonsurgical cosmetic procedures such as Botox, fillers, Kybella, many types of lasers, peels, and microneedling with PRP (platelet rich plasma). 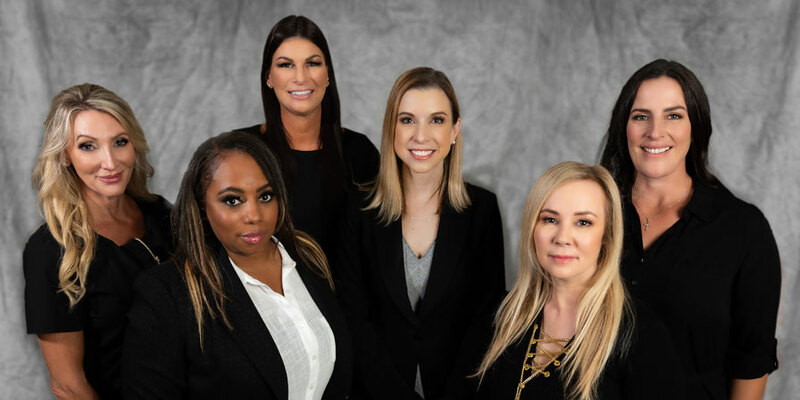 Karen Bunting, RN, Tammy Jankay, RN, Kristin Juve, RN, and Dana Boyan, RN all have more than 15 years of experience as aesthetic nurse specialists. They are committed to continued education in the most recent developments to make your experience safe, comfortable, and as personally rewarding as possible. Renuance Cosmetic Surgery Center and Medical Spa is a nationally accredited, more than 5000 square foot facility designed and built to meet the needs of both surgical and nonsurgical cosmetic patients. Our staff includes 3 plastic surgeons, 4 aesthetic nurse specialists, and a knowledgable support team to help guide and personalize your experience. There is no other facility quite like Renuance in the Temecula Valley. Please stop by our office for a tour or call for information about scheduling a complimentary cosmetic consultation.